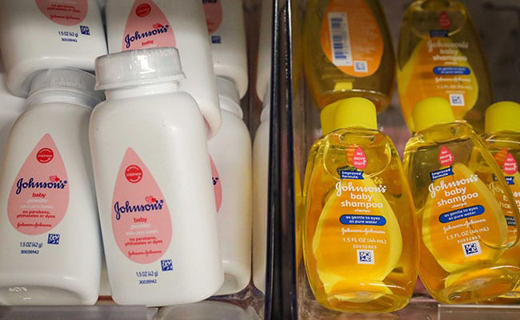 New Delhi, Apr 01, 2019 : Johnson & Johnson’s baby shampoo samples failed quality tests conducted by Rajasthan, according to a public notice from the state’s drugs watchdog, findings that were rejected by the US drugmaker, NDTV reported. This comes just a few months after authorities launched an investigation into J&J’s Baby Powder to see if it contains cancer-causing asbestos. J&J said in late February it had resumed production of baby talc after government tests found no asbestos in the product. The Rajasthan Drugs Control Organisation’s notice dated March 5 said that the samples of J&J’s baby shampoo taken from two batches had failed the quality test as they contained "harmful ingredients". It did not elaborate. "We do not accept the interim results given to us, which mentioned samples to ’contain harmful ingredients- identification positive for formaldehyde," she told Reuters. "We have confirmed to the Indian authorities that we do not add formaldehyde as an ingredient in our shampoo nor does Johnson’s baby shampoo contain any ingredient that can release formaldehyde over time," the company spokeswoman said. The central regulator and its counterparts in states launched an investigation into J&J’s Baby Powder following a Reuters report in December that the firm knew for decades that cancer-causing asbestos could be found in the product.